Yesterday I was the happy new owner of a Brilliant Sporty Blue 1.5T Sport + (Belgium spec) 182hp. Today I went for a drive and took some pictures . snelle snip, JAPAN, Jethro and 17 others like this. Last edited by Grayfox; 8th July 2017 at 10:15. Reason: Fixed Images. 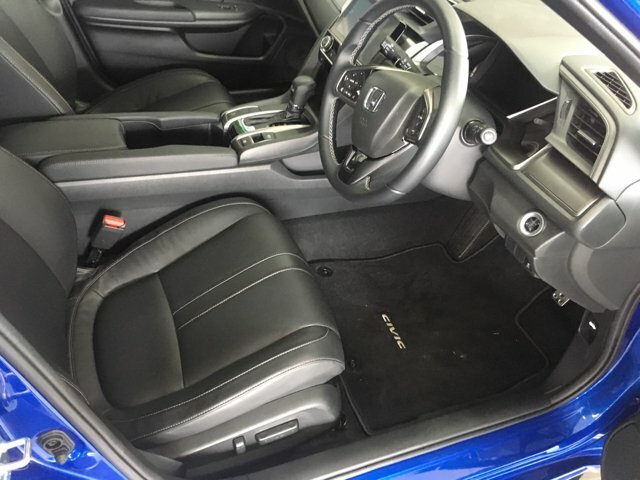 I really like the blue Good for you, I wish you a lot of fun with your new car. ikbenben and Nowell like this. Looks very nice in blue. A bit thirsty on the fuel ! Only driven short roads for now and no highway. It's also its first miles and still breaking in. Why would it be thirsty on fuel mate? The turbo makes it more efficient than if it would be NA. The car looks great and it's in the best colour . Congrats! same coloured car (by the end of the year hopefully). Ours is called the RS, it has reduced features like a US export version. Most annoyingly the power is capped at 173hp, this version is supposed to have 182hp. There is no manual version available. I much prefer the UK, Europe version. Here are some photos of pre-production RS. The only thing I'm missing on mine is the leather interior. If I really want to I can can it upholstered but I don't know if I want to spend the money for it. From the looks of your pictures this model misses a lot of stuff I do have on mine like ACC, radar in the front bumper, panoramic roof, adjustable lumbar support and adaptive dampers. I think I will leave the engine stock except for a remap. 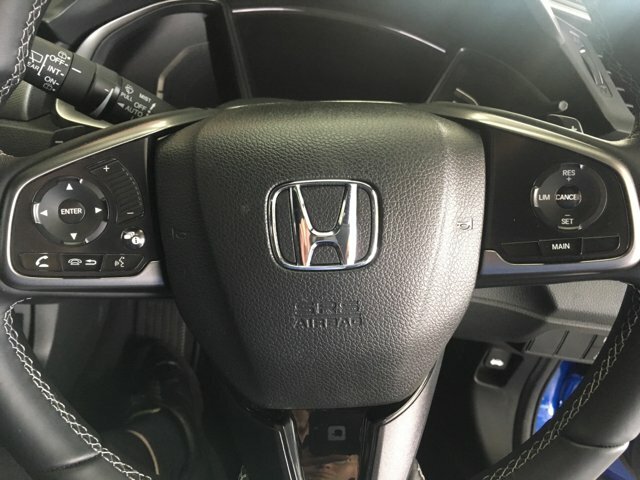 Yes, we only get full Honda sensing on the next model up (the highest model) but that doesn't have the body kit and the twin central exhaust. 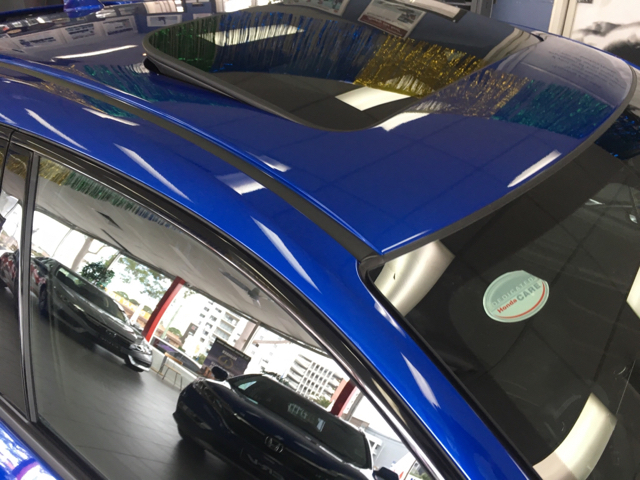 The RS hatch and sedan (both manufactured in Thailand for Thailand and also exported to Australia and New Zealand) has leather seats (heated on front) and a 452W 12 speaker sound system with DAB+ digital radio and a subwoofer in the boot (no inbuilt GPS navigation for this model). Sunroof is a normal one not panoramic. Adaptive dampers are not available. 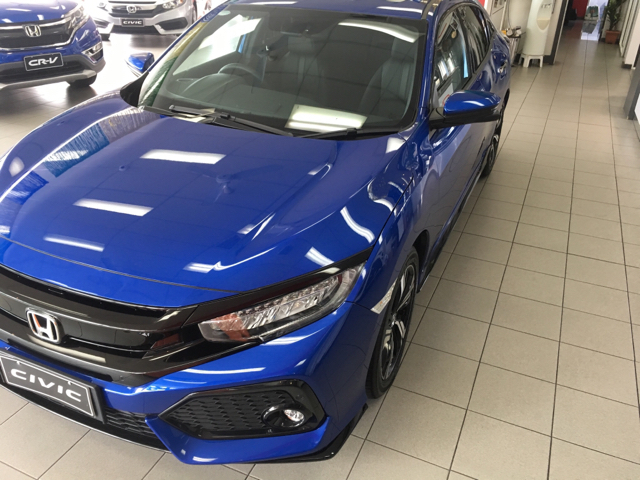 Honda sensing cannot be optioned on any lower model (including the RS). Lower models only get a LaneWatch camera, front/rear parking sensors. What I would really like to add to the car is the Qi phone charging pad accessory. If I do that that means I will be only 10G Civic in the country with this accessory. I think I'll leave the car stock in case I run into any warranty issues during ownership. Normally I keep a car for 5 years before changing to another one. My 9G can run for a while longer but as I briefly had a 10G turbo sedan service loaner I've now have an itch to upgrade to a turbo (more for lower end torque which is non-existent on the 1.8L NA engine). Realistically, the Civic is a lower power turbo car but it is brisk enough. Nowhere near as fast as a Subaru WRX and Sti but I feel the Civic is better as a daily driver (power delivery, practicality, interior quality, space, features). The Subarus are quite fast and I don't feel I have the restraint to mash the throttle pedal on those cars (which can get to some crazy speeds quite easily). Last edited by Vti07; 30th March 2017 at 03:06. In Belgium you have for the 1.5T Sport, Sport + and Prestige. 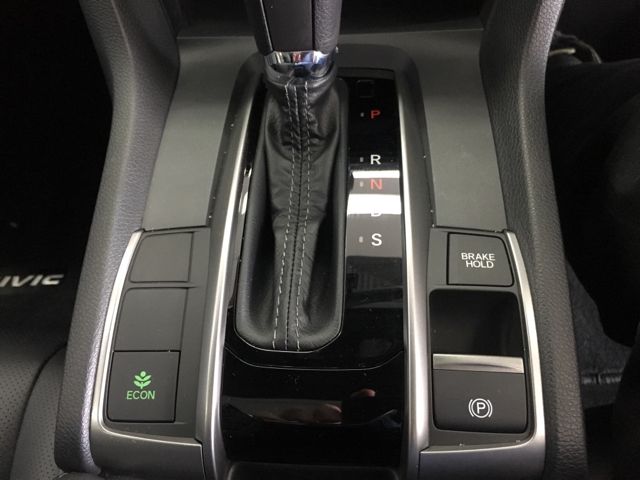 The Prestige is the highest model which has as extra on mine leather seats and heated seats at the back, but it doesn't have the black trim and center exhaust. Also we have 11 speakers, so no sub. I think there is no sub in the hatchback. I've had more powerfull cars in the past but I'm quite happy with the Civic. It's powerfull enough for daily driving. Nowell, DoriD, BeardedYeti and 3 others like this.